Last week was a fall break for our son Luke and as a Ranch Mom I needed some quality morning time with my Top Ranch Hand. We had a plenty of ranch projects lined up for that week and nothing starts a busy day better than a belly filling breakfast. Mix eggs, milk or heavy cream, cinnamon and salt. Turn your cast iron pan on medium and poor in oil. Cut 1 inch slices of the Panettone bread and dunk it into the egg mixture. Fry for about 3 minutes on each side. 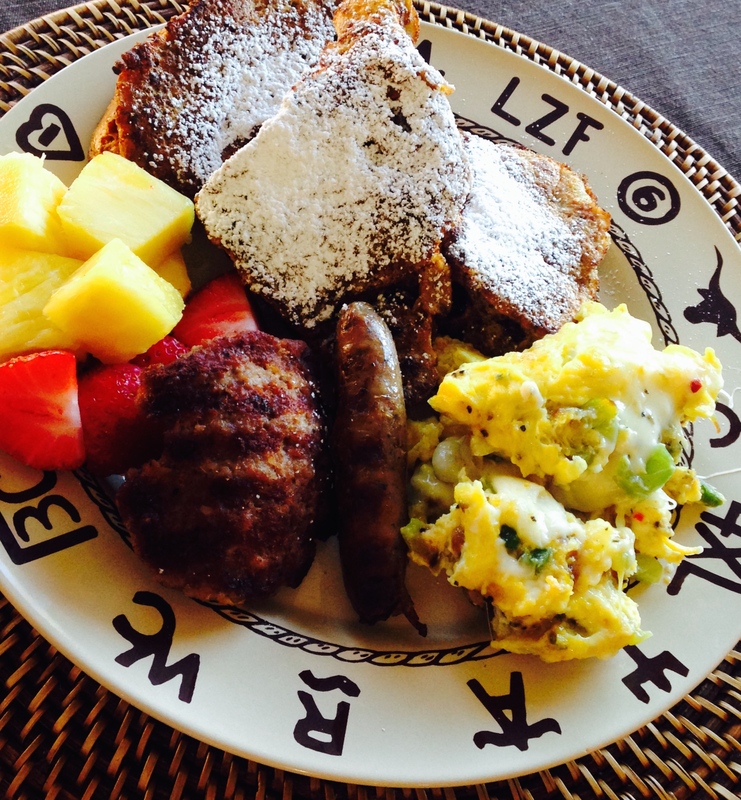 Perfect compliment to this breakfast is 3T Ranch Breakfast Sage Sausage and scrambled eggs. We were ready to tackle our ranch chores. Next day, I made a delicious Italian French Toast Casserole and used the rest of the Panettone bread! This would be great to make on Christmas Day or for visitors, they would be impressed! Note: I include oats in the topping also! Pioneer Woman French Toast Casserole.